Stefan Janković is the product of the famous Partizan youth academy – “Youth School Belin – Lazarević – Nadoveza”, where he’s been regarded as a huge talent from an early age. In January 2014, quite unexpectedly, he transferred to OFK Beograd – the local rival and the club that’s been putting emphasis on the youth, and talented youngsters such as Nemanja Antonov, Milan Gajić or Dejan Dražić determine its current strength. Stefan made his professional debut on 25 May 2014 in a league fixture against giants Red Star Belgrade, in which he replaced another talented teenager Saša Zdjelar after 79 minutes. 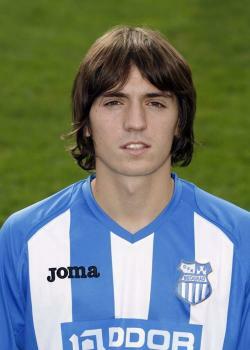 He also belongs to a very talented generation of players in Serbia, born in the 1997. Other players from his generation worthy of note are Luka Jović, Ivan Šaponjić, Borko Duronjić, Lazar Zličić, Strahinja Karišić and Nemanja Glavčić.